It was with great sadness and shock that I learned of the death of actress Elisabeth Sladen earlier this week after a long battle with cancer. My family have been Doctor Who nuts since the programme first started back in the 60s and Sladen’s character of Sarah Jane Smith was without doubt a firm favourite of theirs, and more recently mine. My mum in particular loved Sladen/Sarah Jane as she was her era's Companion - even hailing Sarah Jane as a style icon of hers. Sladen's Sarah Jane, a journalist, was renowned for being stronger than many of the other Companions - which I'm sure goes a long way to explain the lasting popularity of the character. Sarah Jane first joined Doctor Who back in 1973 when the show was still broadcast in black and white. After helping Jon Pertwee's Doctor, Sladen continued her adventures with Tom Baker and tin dog K9 before stepping out of the TARDIS for the last time in 1976 (or so she thought...). 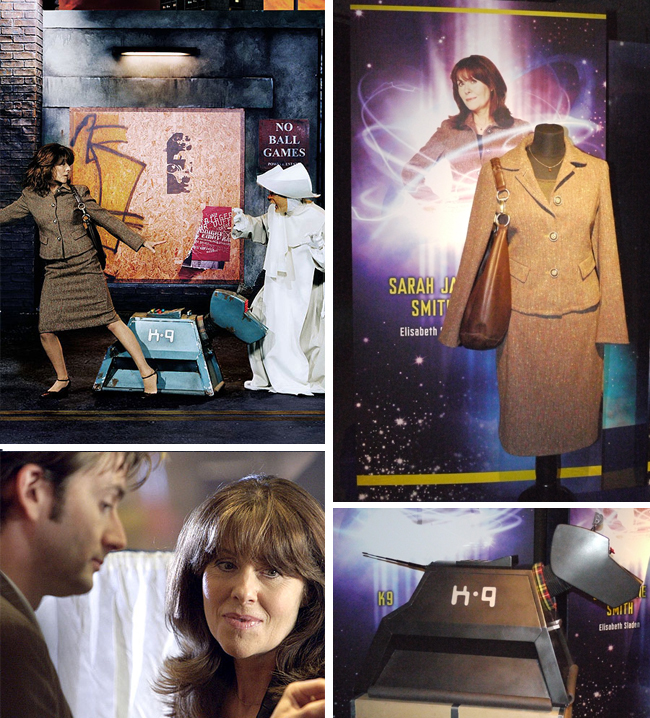 In recent years, as Sladen returned to the show and even starred in her own highly successful spin off series, the Sarah Jane Adventures, she picked up an army of new, young fans as the show became one of childrens television's most successful programmes for years. Indeed, CBBC's Newsround reported it's biggest ever response from young viewers to a news story upon the announcement of her death this week - a telling sign of just how loved this kind, corageous actress and true sci-fi ledgend really was.